Portfolio valuation is a concise and portable solution for tracking and monitoring financial portfolio valuation and performance. Portfolio data is entered as via price and quantity information for positions and transactions at asset or security level. Investment transactions cover all possible types including additional investment, distributions, reinvestment and liquidation. Valuation and performance of the portfolio is reported under the time weighted return concept by analyzing all transactions and their timing within a specified reporting data range. New reporting periods can be established whereby financial information is automatically set for new data and transactions archived for safe keeping. The portfolio valuation and performance can be tracked through charting to monitor the portfolio trends. 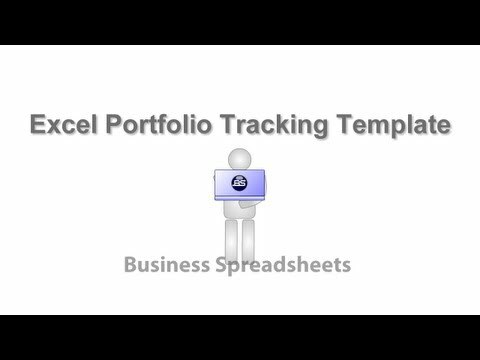 Portfolio valuation is compatible with Excel for Mac and Windows as a highly portable and lightweight portfolio tracking solution. There are currently no reviews of Portfolio Valuation. Portfolio valuation is a complete portfolio performance tracking and valuation monitoring solution that can be share on multiple devices and operating platforms. Below are some frequently asked questions for Portfolio Valuation. Q. What type of pricing plans does Portfolio Valuation offer? Q. Who are the typical users of Portfolio Valuation? Q. What languages does Portfolio Valuation support? Q. Does Portfolio Valuation support mobile devices? Q. Does Portfolio Valuation offer an API? No, Portfolio Valuation does not have an API available. Q. What other apps does Portfolio Valuation integrate with? Q. What level of support does Portfolio Valuation offer?